Hey there. Whew, time gets away from me here on the blog. 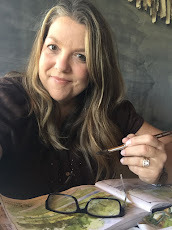 I share a lot on Instagram but this time of year leaves little time for blogging. I'm knee deep in Prom this week and Josey's graduation is right around the corner. With that said I'm wayyy behind on Project Life. It's okay though, I'm still enjoying the process when I get time to work on my albums. 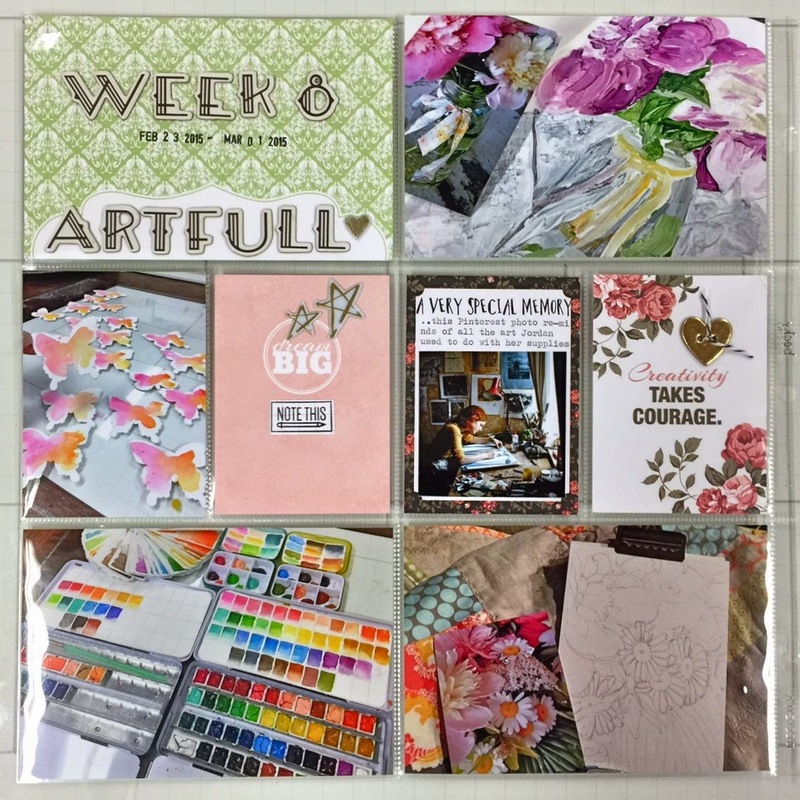 I'm sharing Week 8 of 2015 today. All products are from Gossamer Blue. Here's the left page. It was a week full of art. I'm really getting back into my sketching and painting. You can see my progress on my Instagram account. Lots of experimenting, new art supplies and wonderful colors. The right page. New acrylic paints, card making with a friend and contemplating what to do with some vintage fabrics. Hope all is well in your little corner of the world. I'll be back to share more projects soon. The Gossamer Blue May release is almost here, be sure to check the GB store and gallery for project inspiration. 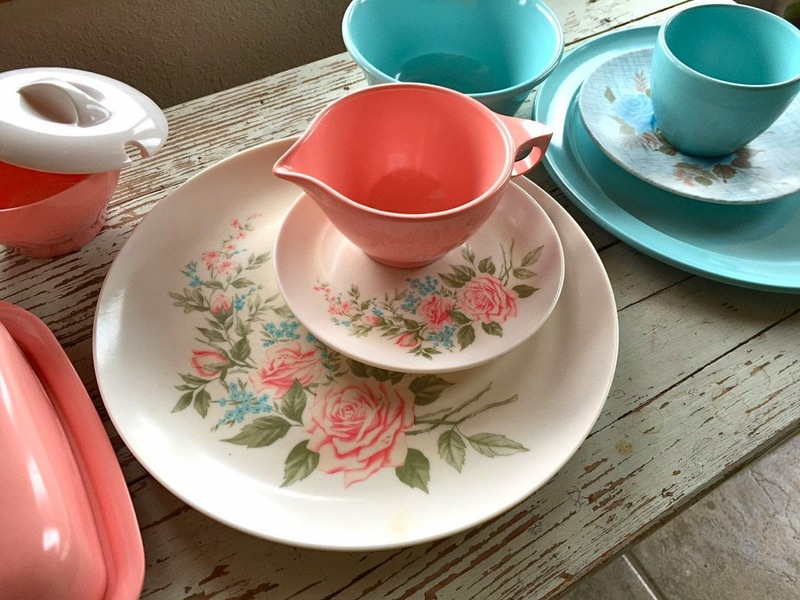 Today I have added this adorable set of blue and pink floral Melmac/Melamime dishes to my shop. 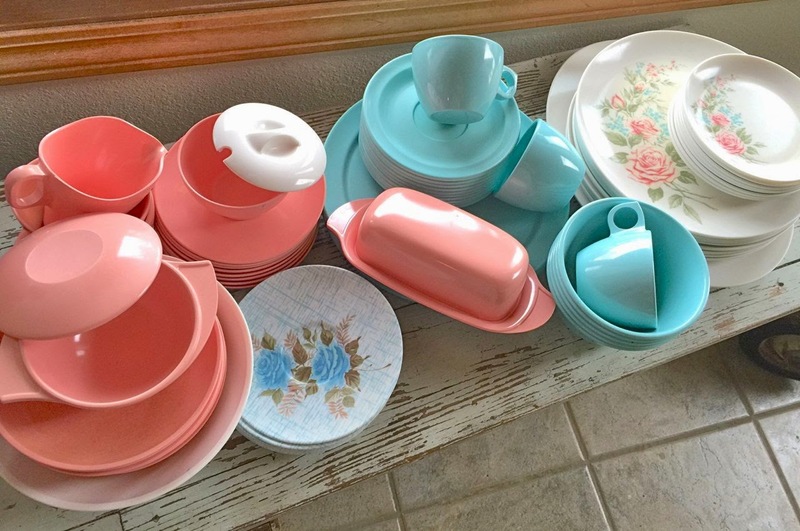 Nearly 70 pieces of dishes including dinner plates, cups and saucers, butter dish, creamer and sugar dishes, plates, bowls and more. 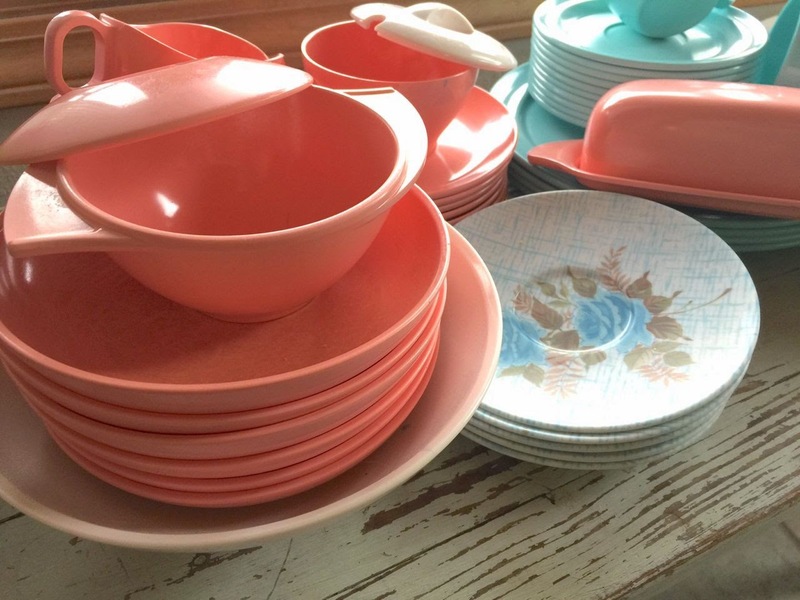 Perfect for everyday dishes, picnics or campers, parties, bridal showers and more. 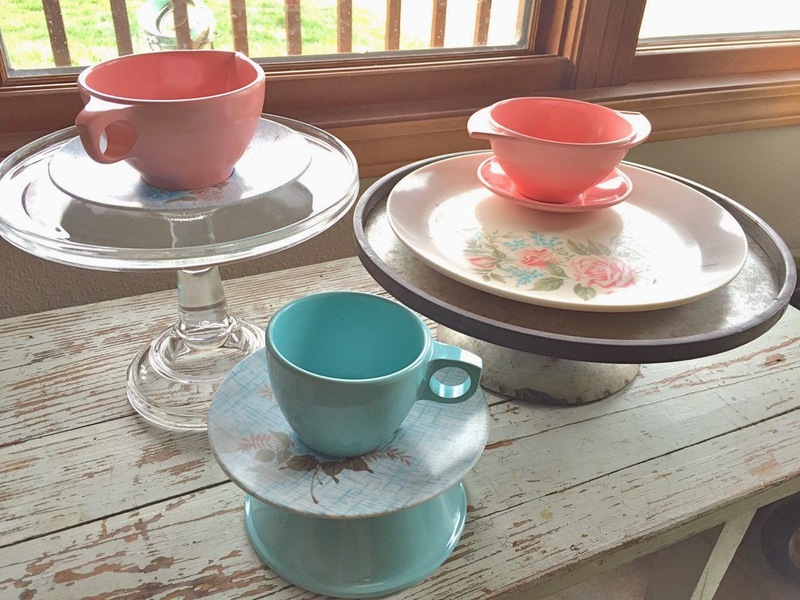 Or pair the dishes with other pieces from your stash like cake plates for cute party displays. 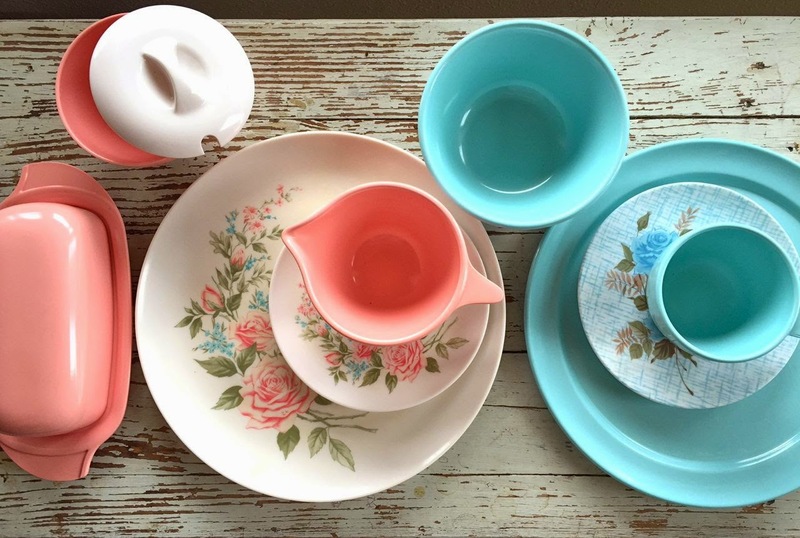 I've also put a lot of other vintage items on sale including aprons, trays and more. 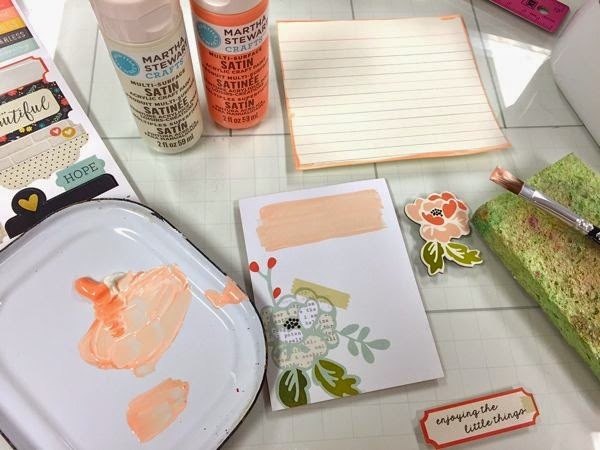 Recently I shared how I embellished a notebook using Gossamer Blue April kits. I thought I'd share here on my blog too. 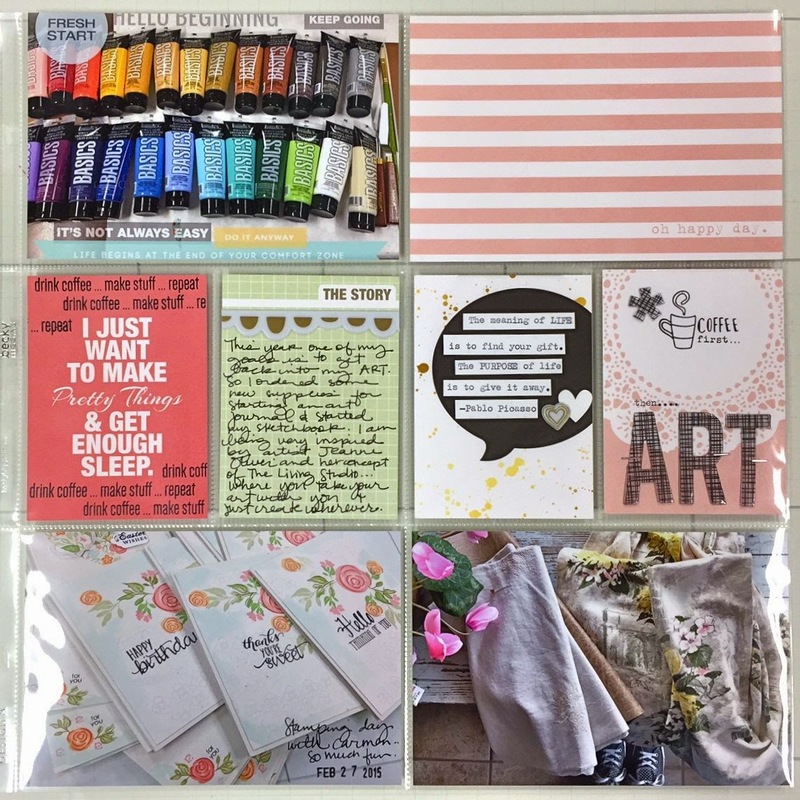 I started out with a journaling card and painted on some Martha Stewart craft paint. I also painted the edge of a simple index card. 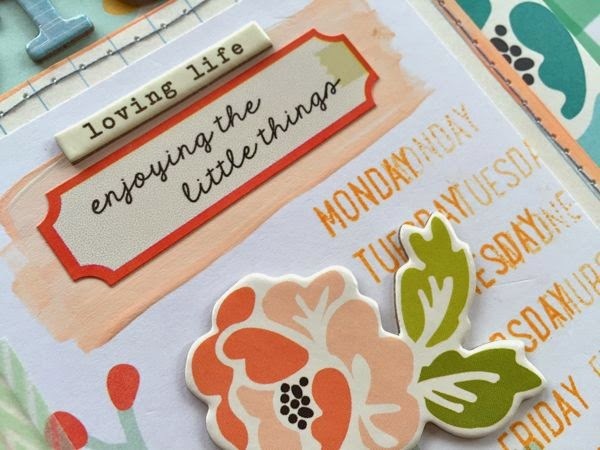 Using the Life Pages days of the week stamps I stamped down the side of the journaling card. I also added a sticker over the dried paint. I added some chipboard pieces on top of those layers. I covered a notebook (from Target probably) with patterned paper, chipboard letters and my layered pieces. I added some Washi tape and machine stitching too. A fun little notebook that I dedicated to planning Josey's graduation and my folks' 50th wedding anniversary party this Summer. It's came in very handy because all of my notes and lists are in one place. 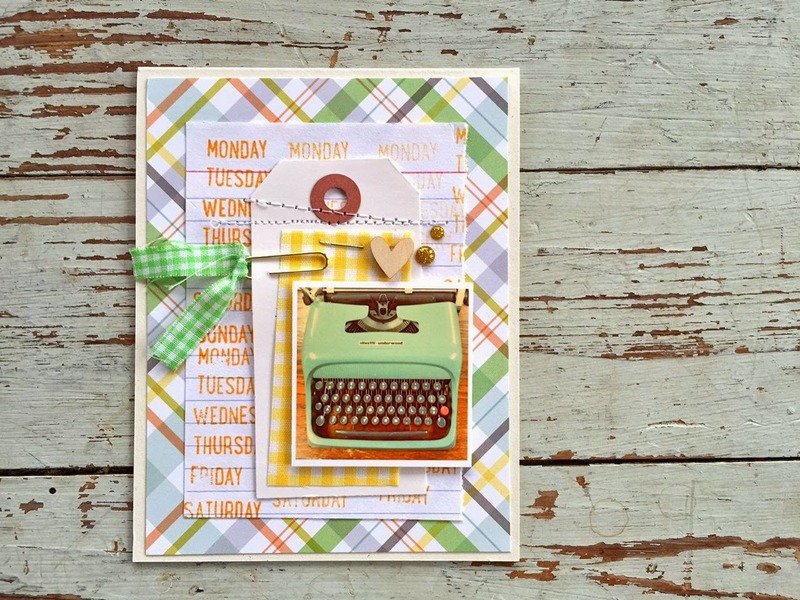 Today some of the Gossamer Blue Design Team members are sharing some projects from the April Gallery. 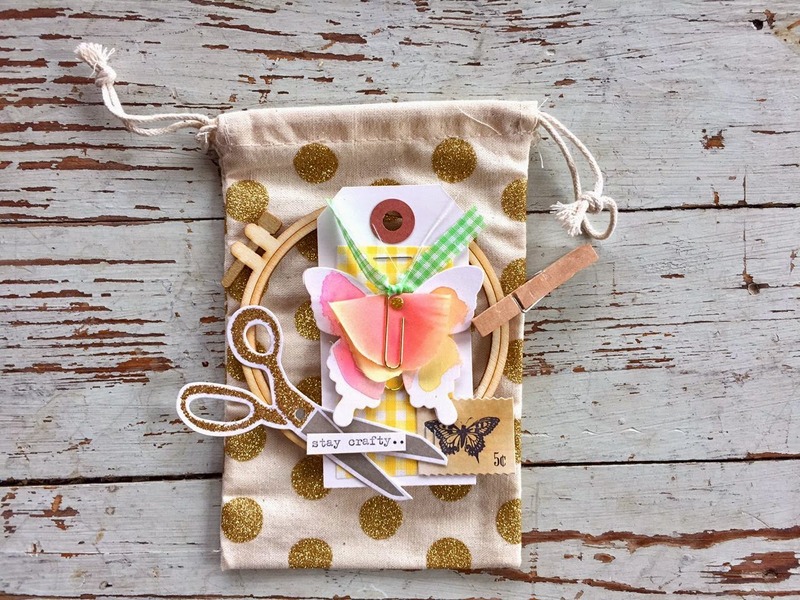 I created a fun little gift bag for a crafty friend. The gold glitter polka dot bag is from the April Bits & Pieces Kit. The fun wood veneer embroidery hoops are from the April Main Add-on Kit. I used die cut embellishments from various kits to add to my gift wrap. I also used a few pieces from my 1970-Something Kit. The gingham tag with the watercolored butterfly and gingham gold paperclip add a whimsical feel to my gift wrap. 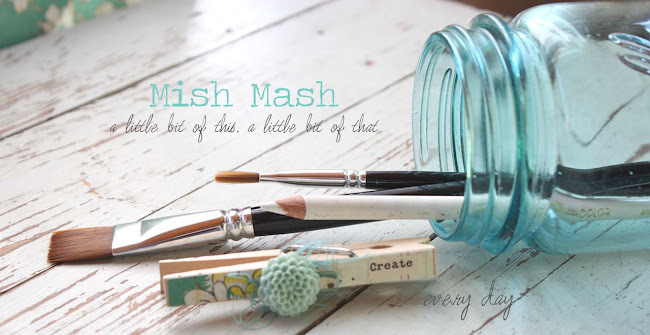 I love adding items from my stash to Gossamer Blue Kits. It's a good way to dig through your supplies and get them onto projects. Happy Monday everyone. Hope your week is off to a good start. 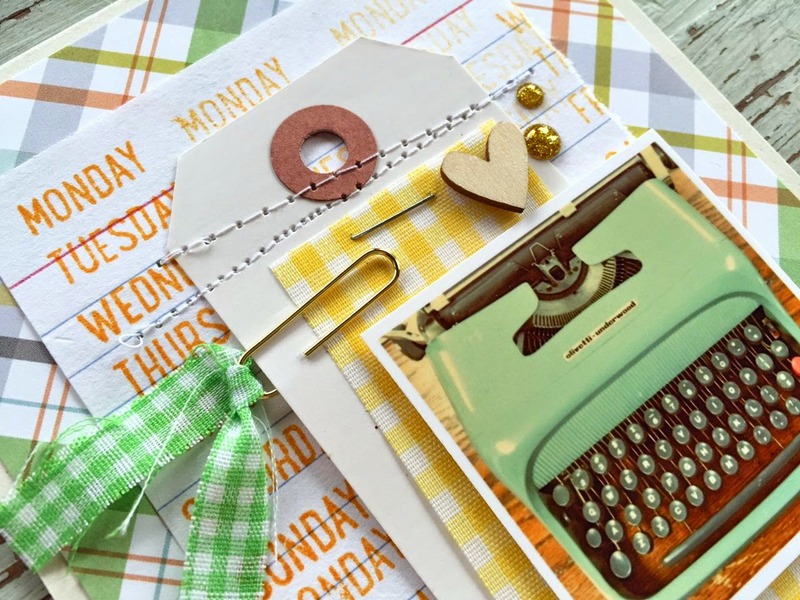 Today I'm sharing a fun card using the 1970-Something Kit from my shop + products from the April Gossamer Blue Kits. I love mixing and matching items that I create with items from the kits. 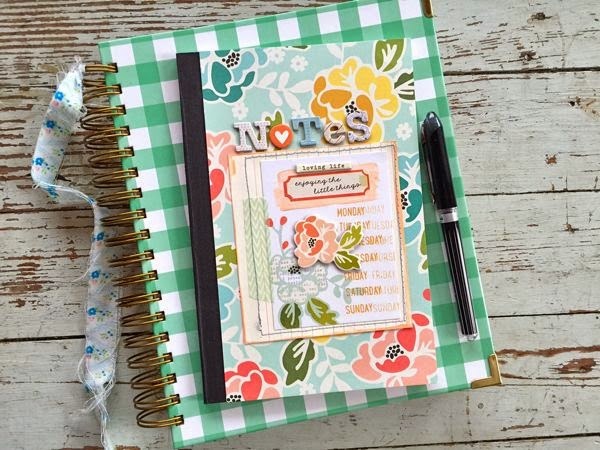 This card has an office supply feel so it could be especially fun to give to a co-worker or a school secretary....or how about a friend who loves the whole planner craze. 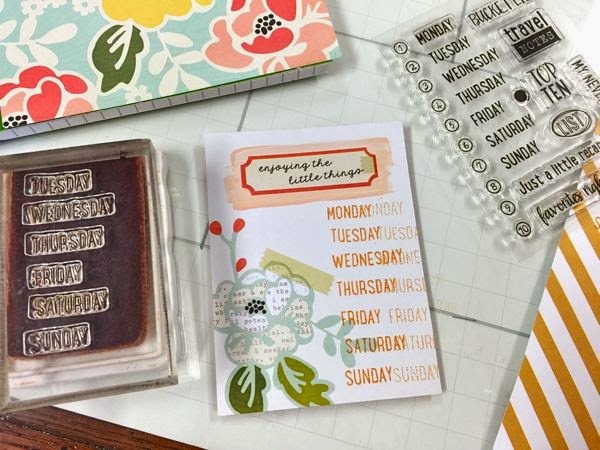 I stamped the days of the week from the Gossamer Blue Life Pages Kit onto an index card. I stitched on a tag from my shop kit then layered on the mini typewriter Instagram and slid the fun paperclip in place. A little wood veneer heart and enamel dots from the Gossamer Blue kits finish off the card. I think it's so fun to make time for yourself, or invite a few friends over, and just sit down with your kits and items that you pick up here and there.....and just create for the fun of it. 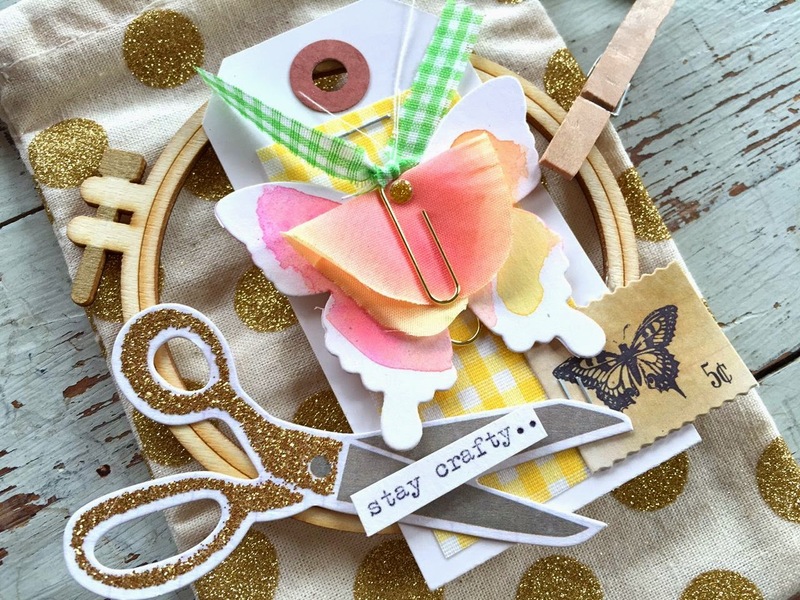 If you limit yourself to just a few kits and items from your stash, the choices are easier. 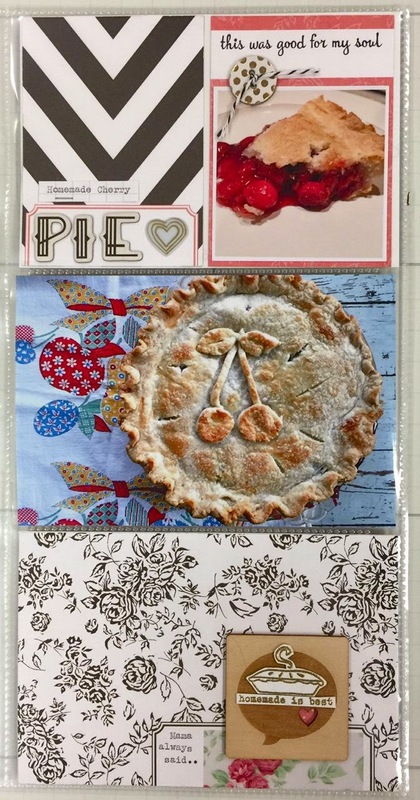 I like to make cards and coordinating gift sacks, gift tags to attach to homemade jams and jellies, little gift enclosure cards to send along with little flowers to plant for Spring, etc. You can find all the new Gossamer Blue kits HERE and my new 1970-Something Kit right HERE. Enjoy! Hello there. 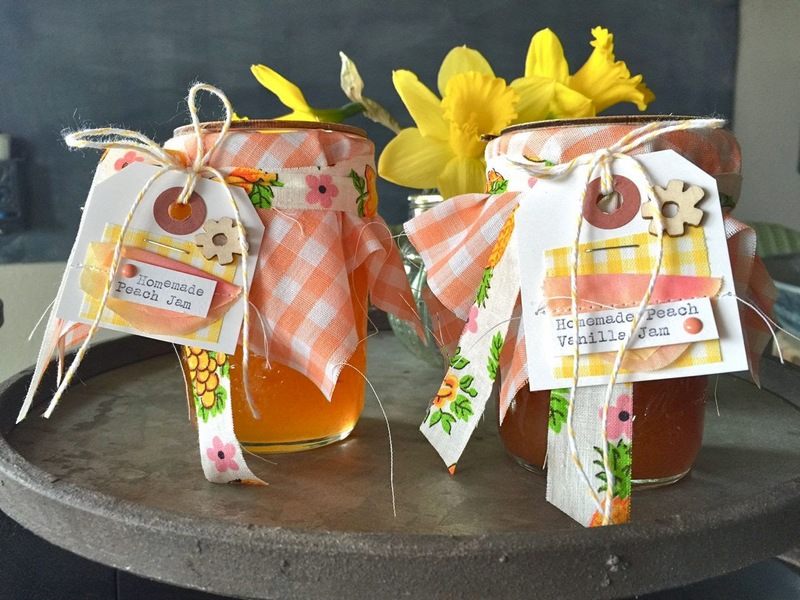 I'm sharing a cheery little project today made fresh from my kitchen. 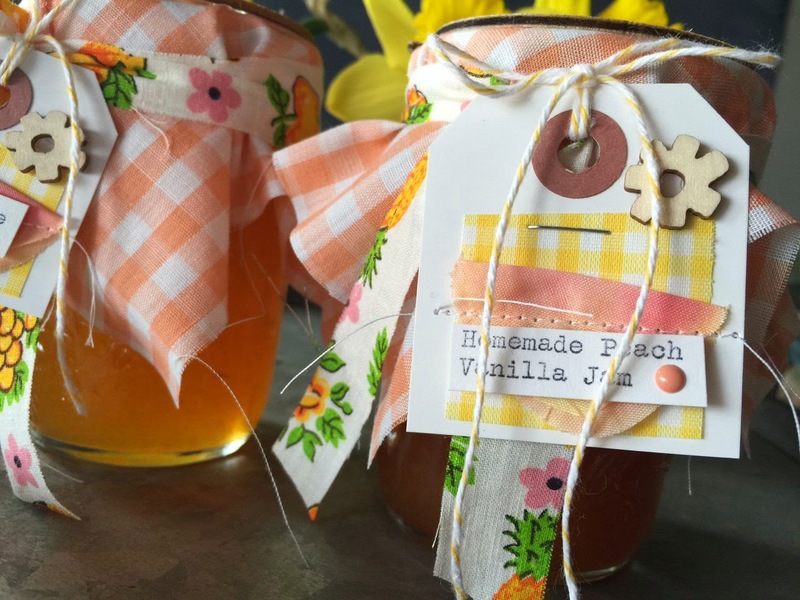 I grabbed a few of my homemade peach jam jars off the shelf and embellished them with items from my 1970-Something Kit + a few items from the April Gossamer Blue kits (which go on sale today). 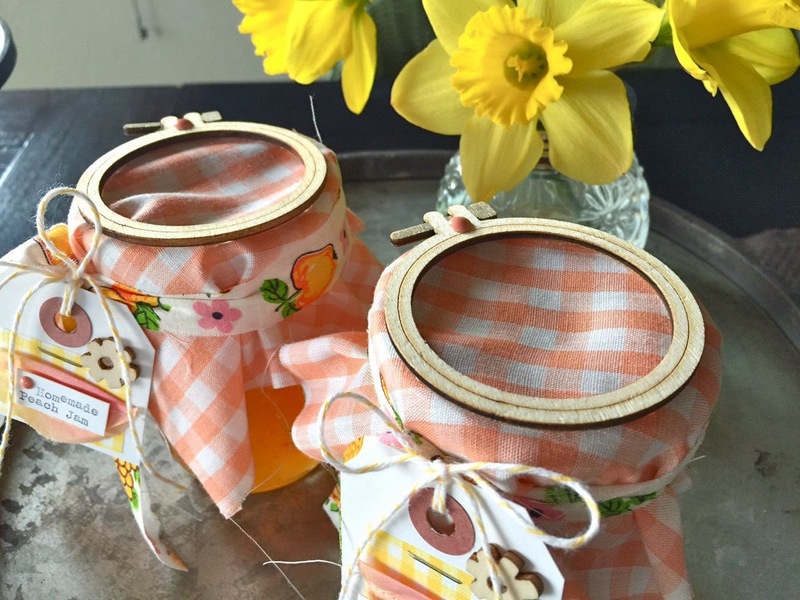 I used the vintage strip of fabric from the kit + a trimmed down tag to make some cute packaging for my peach jam jars. I typed the label using my vintage typewriter. 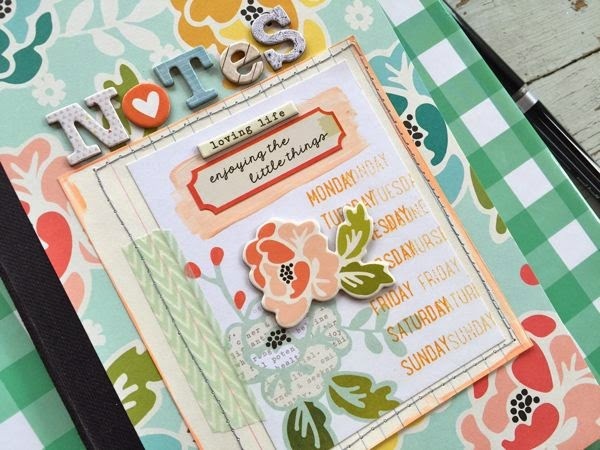 The wood veneer and enamel dot are from the Gossamer Blue kits. I found the vintage, peach gingham fabric at a local thrift shop. On top of the jars, I adhered the cute wood veneer embroidery hoop pieces from the Bits & Pieces Kit from the April Gossamer Blue kits. Such a fun little addition that gives my jars even more of homespun look. I'll sit these on the shelf and keep them for just the right person. They'd be cute as a last day of school gift for some of my favorite teachers and secretaries at the school, along with a little jar of fresh flowers. Note: Recipes are from the pectin boxes and Pinterest. Enjoy!